Check the GPAEA PD Course Catalog for up-to-date information at https://www.gpaea.org/professional-development/gpaea-pd-course-catalog/. Here is a great resource to share with parents at Parent-Teacher Conferences! The Iowa Core Parent Guides, in English and Spanish, were developed to provide an overview of what students will learn by the end of each grade level as directed by the Iowa Core, our statewide academic standards in Math, Science, and ELA. There is a guide for each grade level kindergarten through grade 8 and one for high school students. Guides include a brief overview of what will be learned in each subject area of the Iowa Core, examples of what students’ work at school may look like, and examples of how parents can help their child at home. Check it out and share with your teachers! Great Prairie AEA will again be hosting a Battle of the Books competition this year on April 26, 2018, at the Fairfield Arts & Convention Center. Registration is now open. Visit the BOB website for more information and to register. 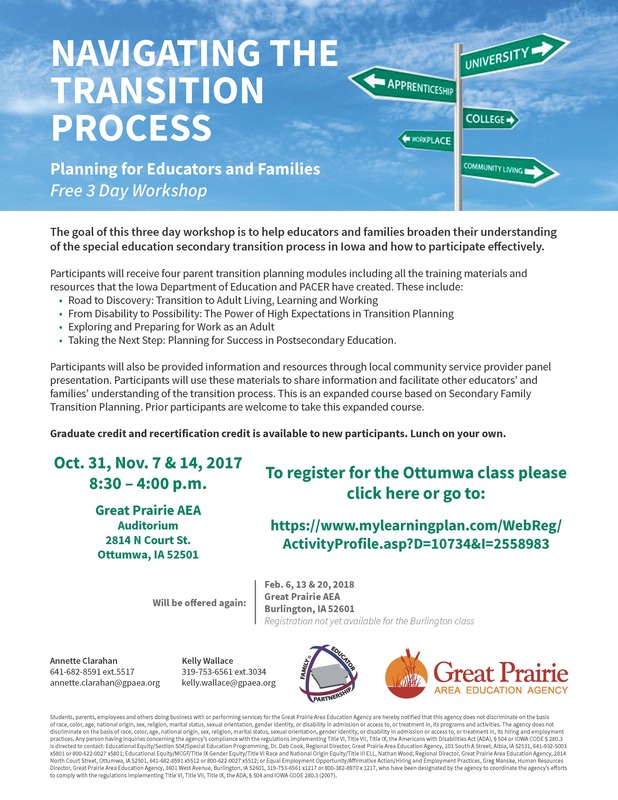 If you have questions, contact jane.frizzell@gpaea.org. Battle of the Books is a collaborative reading competition for readers at the upper elementary and middle school levels. 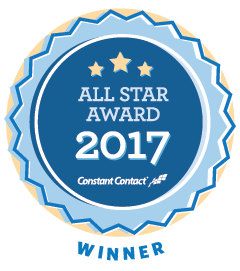 It is designed to enhance student commitment, team building, reading comprehension, and study skills in a fun, informative manner. Teams of up to six students read from a pre-selected list of books. Competition includes written and oral responses. Teachers will increase content knowledge in the area of rational numbers, learn how to facilitate classroom discussions, and improve rational number fluency, specifically using strategies from Number Talks: Fractions, Decimals, Percentages by Sherry Parrish and Ann Dominick. This class can be taken for recertification or graduate credit. Participants enrolled for graduate credit will be required to complete implementation work between November and February. All credit will be awarded at the end of February when the class closes. Purchase of the book by Parrish and Dominick is required for all participants. Looking for AEA Staff Members, District Information, or Services? Download a PDF copy of the Directory at https://www.gpaea.org/directory/. Also available are District Contact Sheets – a personalized list of Staff serving your District. TIP: Save the PDF on your Computer, Tablet or Phone for easy reference! Click on a post title below or scroll down to view all. October is National Physical Therapy Month, and an opportunity for Great Prairie AEA to celebrate and recognize our six physical therapists and three physical therapy assistants for the work they do with children birth to 21 in our area. Great Prairie AEA’s Physical Therapy program provides therapeutic services to maximize children’s functional motor abilities through assessment, intervention, advocacy and education related to their unique needs with the educational atmosphere of mutual respect and cooperation. Physical therapists design interventions that improve a student’s physical ability to access and participate in their educational program. The 2017 Global Education Institute for Teachers will be held on the University of Iowa campus on December 2-3, 2017. The institute is sponsored by the Stanley Foundation and UI International Programs. 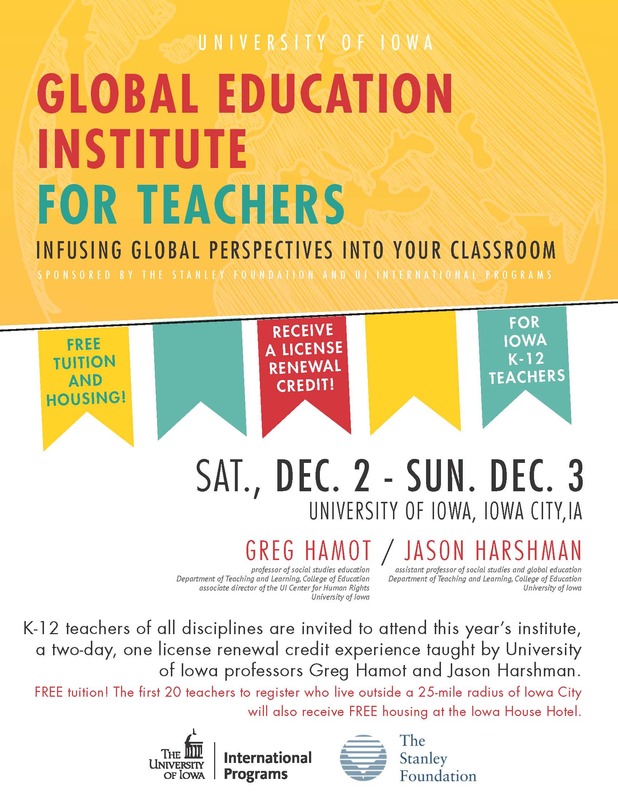 K-12 teachers of all disciplines are invited to attend this year’s institute, a two-day, one license renewal credit experience taught by University of Iowa professors Greg Hamot and Jason Harshman. FREE tuition! The first 20 teachers to register who live outside a 25-mile radius of Iowa City will also receive FREE housing at the Iowa House Hotel. Registration deadline is November 8, 2017. More information may be found on our website at https://international.uiowa.edu/connect/programs/k-12/institute. Please contact Amy Green at amy-green-1@uiowa.edu or 319-335-1433 with any questions. Click here to view the October newsletter. Iowa Family & Educator Partnership/FEP works to develop and sustain effective partnerships between families, educators, and community providers to promote the success for all children and youth with disabilities. The Iowa Department of Education last week announced the winning bidder for new statewide assessments of student progress in English language arts, mathematics, and science to be given in the 2018-19 school year. A formal notice of intent to award was issued naming a proposal from American Institutes for Research (AIR), an independent non-profit organization. AIR’s proposal for an assessment called Independent College and Career Readiness Solution scored highest overall in a competitive-bidding process that followed criteria set by Iowa lawmakers this year. Iowa will re-name the assessment once a contract is awarded. A request for proposals was required by 2017 state legislation (Senate File 240). The Iowa Department of Administrative Services issued the RFP on the education department’s behalf in June. Selection criteria followed requirements outlined in Senate File 240. For each bid, reviewers considered alignment with Iowa’s academic standards and federal law, ability to measure student progress and proficiency, costs, feasibility of implementation for school districts, time required to administer the assessments, and infrastructure and technology needs. Assessments must be available in both paper-and-pencil and computer-based formats. Eight proposals from six vendors were considered by a review team made up of Iowa school administrators and educators, as well as staff from the Iowa Department of Education. The vendors who submitted bids were ACT Inc., American Institutes for Research, Data Recognition Corporation, Pearson, Questar, and the University of Kansas. An appeal period of five business days is underway, as required by law. Following this period, an assessment proposal will be taken to the State Board of Education to start the formal administrative rule-making process required for adoption. A contract for new statewide assessments is expected to run one year and eight months – the time needed to prepare for and administer a new state test — with an option to renew annually for four more years. Iowa students will take new state assessments for the first time in the spring semester of the 2018-19 school year. “All means all” is a hot new phrase circulating Great Prairie AEA. What exactly does this phrase mean? Dr. Anthony Muhammad of Detroit, Michigan tells us “learning is a right, not a privilege.” Dr. Muhammad visited GPAEA three times since August. His workshops impacted 17 school districts and approximately 1310 teachers. Dr. Muhammad provided research to GPAEA educators focusing on the importance of “skill” and “will” to create a “positive learning environment.” He also reminded educators of the “box” that we are in as teachers and how we have been in this educational “box” since we were five years old. This box we live and work in has operated well for us, but it is not operating well for every student. In order to improve and have all students learn at high levels….changes must occur. Leadership plays a significant role in supporting “All Means All.” According to Dr. Muhammad, leaders must become transformational as they work with staff to “align the philosophy, manage frustration, create a culture of collaboration, and institutionalize cultural health” within their school system. Dr. Muhammad will return to Great Prairie on October 30th to work with leadership teams providing continued learning around healthy school cultures that foster learning for all. He will walk leadership teams through deeper learning around the Transforming School Culture Shared Decision-Making Checklist, introduced during the August workshop. If your leadership team would like to attend, please sign up here.